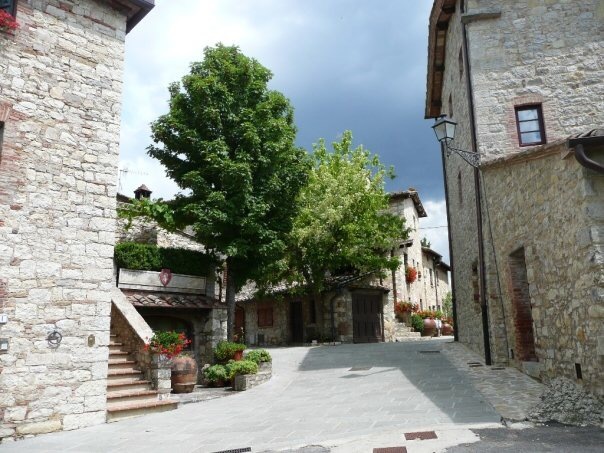 Geoff and I were staying in the beautiful Chianti region of Tuscany which we have been to many times. We went in the middle of May for two reasons, one because it wouldn’t be too hot (we can’t do too hot) and the best reason of all, was because the Giro d’Italia was in town. We managed to see two stages. 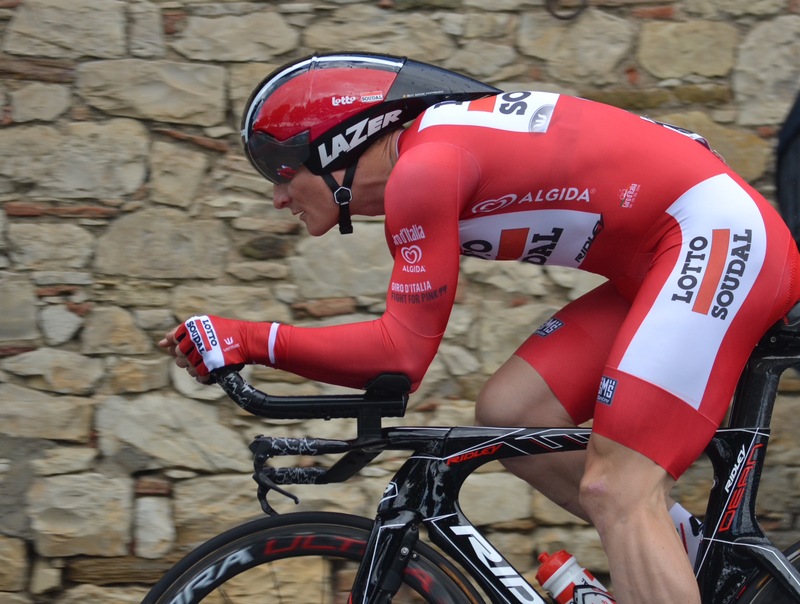 Andre Greipel – look at those legs!! 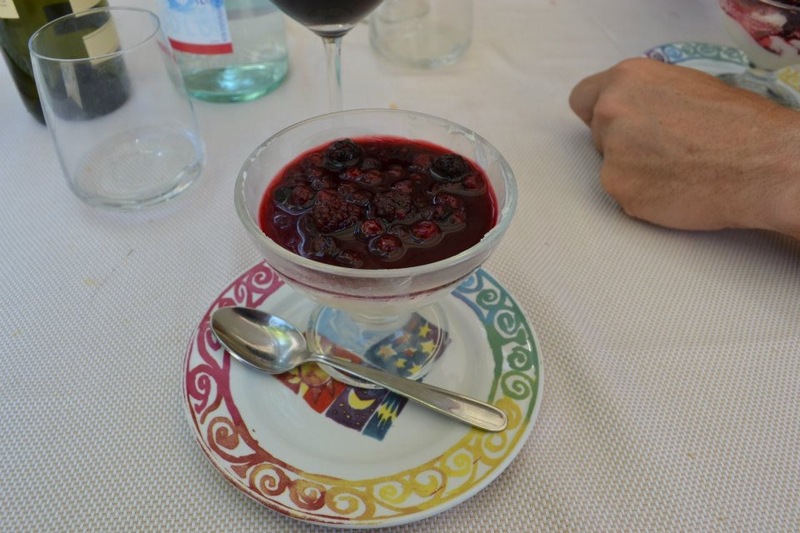 We have eaten at Trattoria La Grotta Della Rana in the tiny country village of San Sano near Gaiole in Chianti, Italy several times in the last ten years, sometimes even driving a four hour round trip just to do so. We call it David’s as its run by David – who doesn’t speak a lot of English but that adds to the charm of the place – his father, his son (? ), with his wife and mother who do the cooking, making it one big family affair. They also have a small grocery shop which sells loads of local wines, meats, cheeses, fruit and veg, biscuits, you name it. 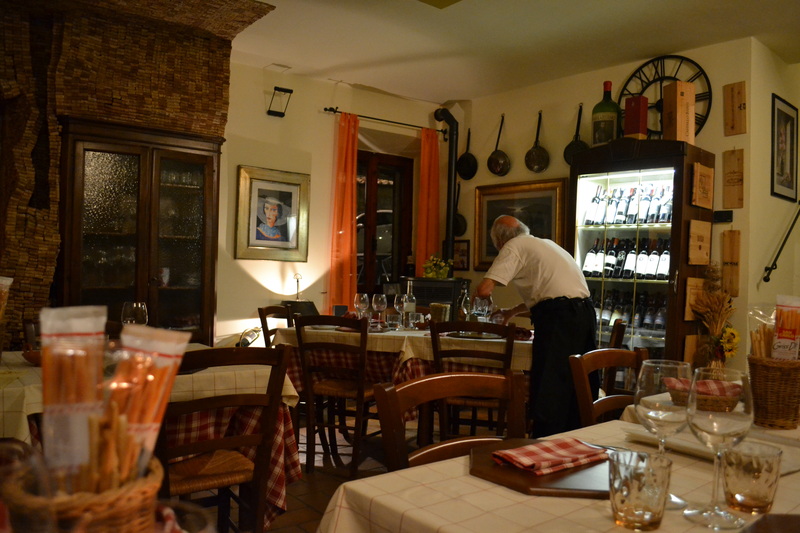 A trattoria is usually a family run business with home cooked type meals, traditional Italian ones. 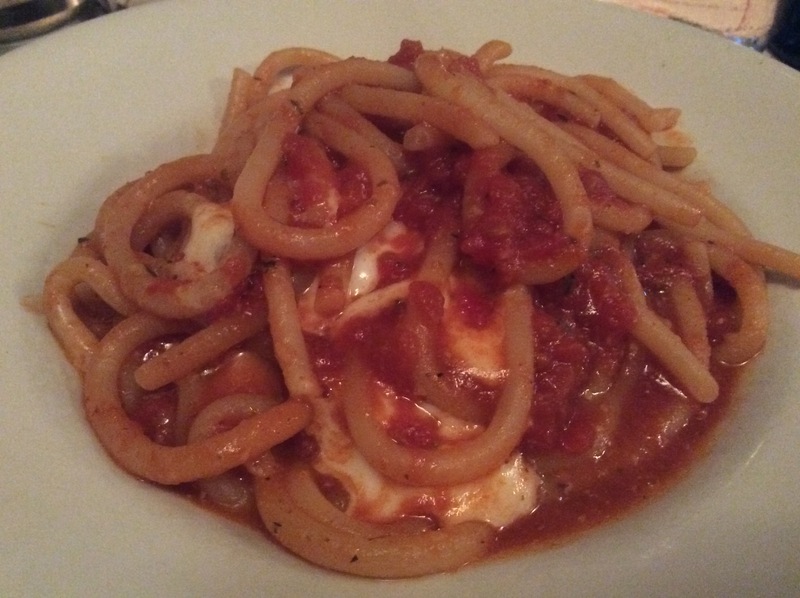 Whenever we eat at La Grotta Della Rana we always have the same two dishes. 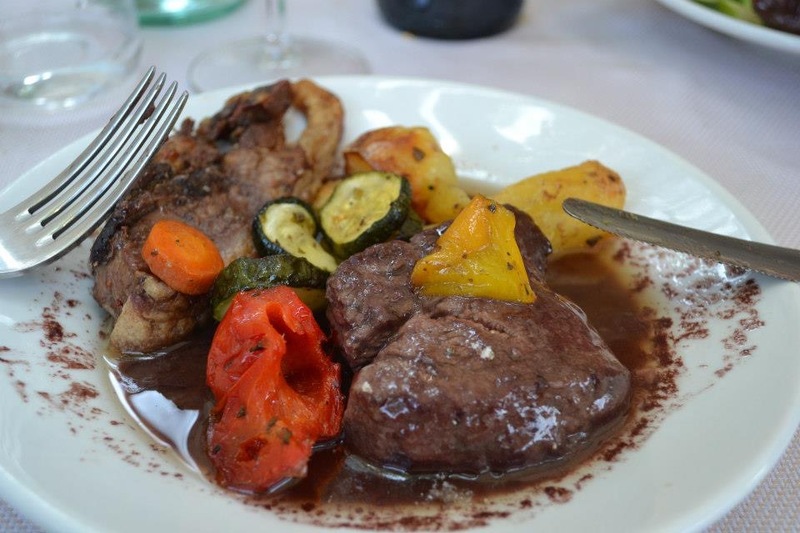 The filetto al vino rosso is a beautiful thick fillet steak cooked in Chianti wine and is served along with a load of the stuff as a gravy and the agnello alla brace, lamb cutlets with rosemary. That doesn’t sound very exciting but man, it tastes so good! With them we have roasted potatoes and some roasted vegetables which is usually aubergines, courgettes and peppers. So obviously on this visit Geoff and I shared both dishes as usual and they were just as good as we remembered. In fact I can even conjure up the taste and smell of it now. 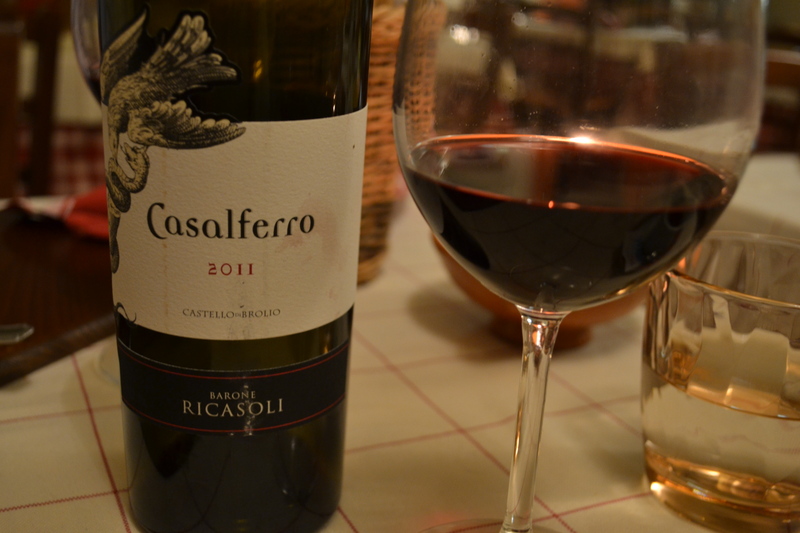 We thought we’d treat ourselves as it was our first evening in Italy and ordered a bottle of Barone Ricasoli’s Casalferro which is 100% merlot and so so good. Ricasoli’s vineyard is just down the road from San Sano and of course, we just had to stop off and buy a couple of bottles to take home. 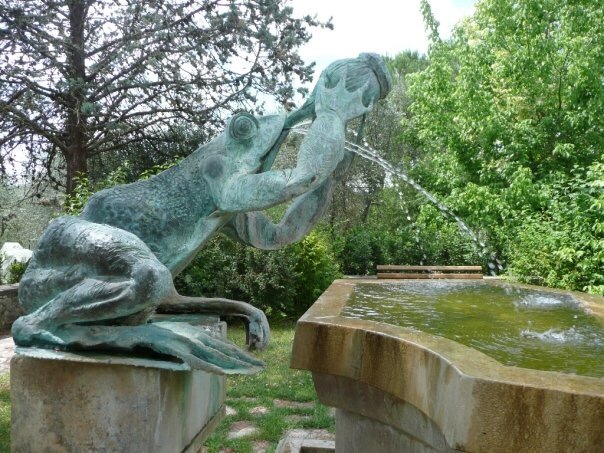 Again, it’s another place we return to when in the area, they have a lovely restaurant set within a cool pine forest and a lovely castle at the top of the hill with great views overlooking the vineyards. 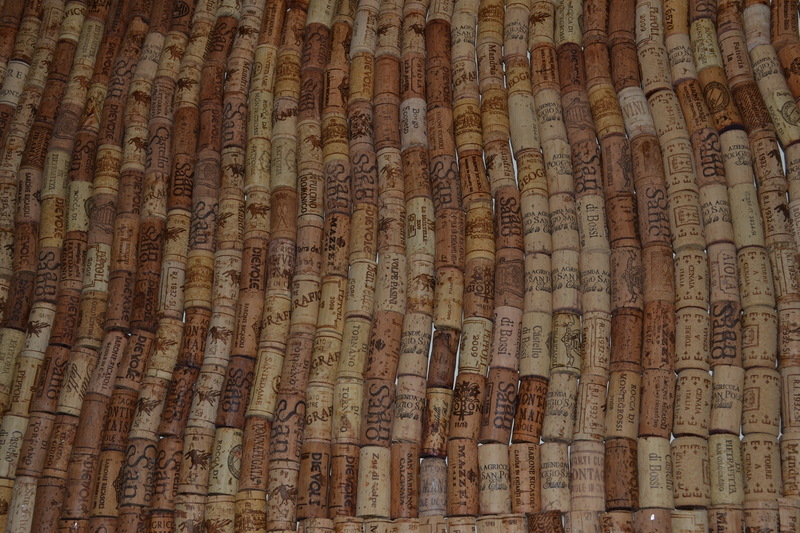 They also have wine tasting and tours around the castle. 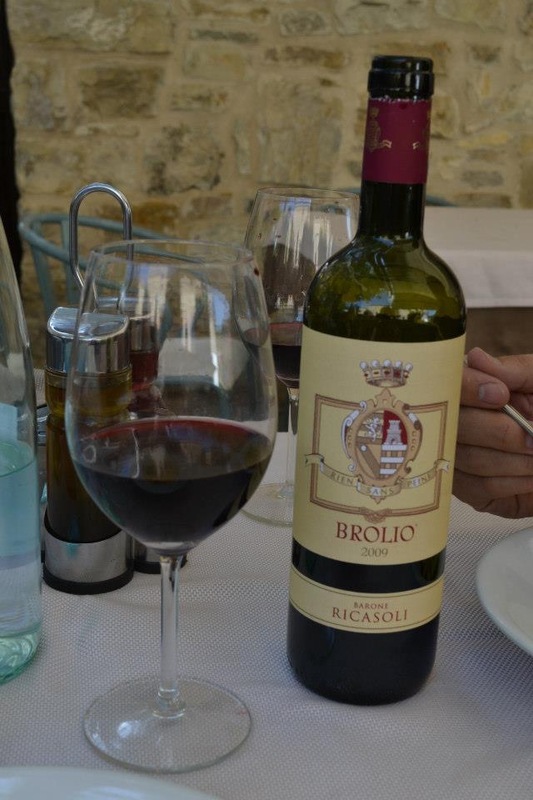 Funnily enough, up until a couple of months ago Waitrose sold two of Ricasoli’s wines whereas yesterday I was only able to find one, the cheaper one thankfully (the other bottle is £40!). It’s nice to find a wine from our favourite place in our local supermarket – even though the cost is a little more. 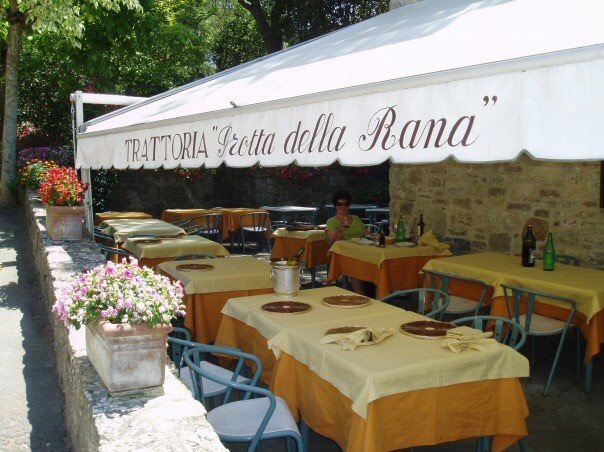 This was the first time that we had sat inside La Grotta Della Rana, in the past we’ve always gone in the summer months and have been able to sit outside. The desserts have never been the best, nice enough but not the kind to die for but I’m not one to pass on a dessert so I had the tiramisu and Geoff the panna cotta. Limoncello seems to come free with a coffee at most places we ate at which is great news. We stayed four nights in Hotel Residence San Sano, back to the place we first stayed in ten years ago but it wasn’t quite as good as back then unfortunately, it needs a little tlc. Friendly enough though. Of course we had to return to Davids for one last meal before we moved on to the Val d’orcia region for another few nights. We sat at the same table and shock horror we decided to order something completely different from the menu. 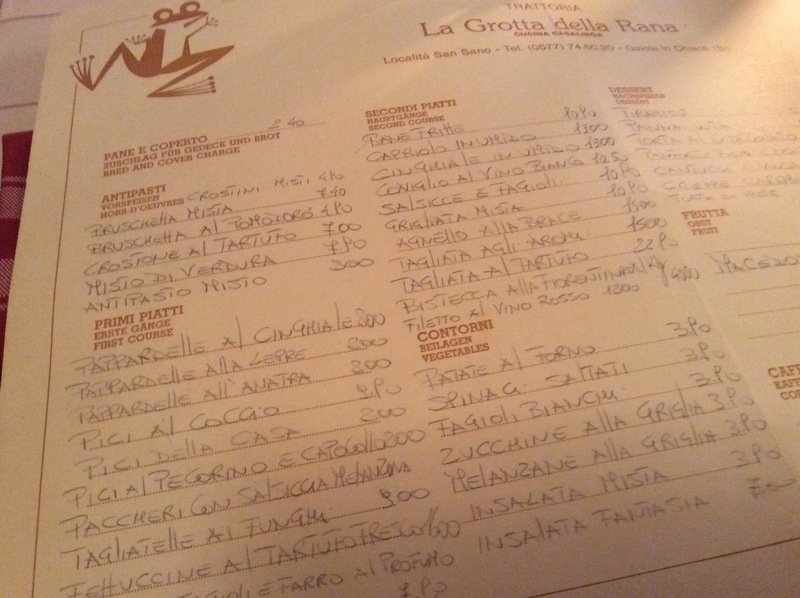 The menu is hand written and all in Italian and my little translation book is absolutely useless. It has none of Davids dishes in the damned thing. 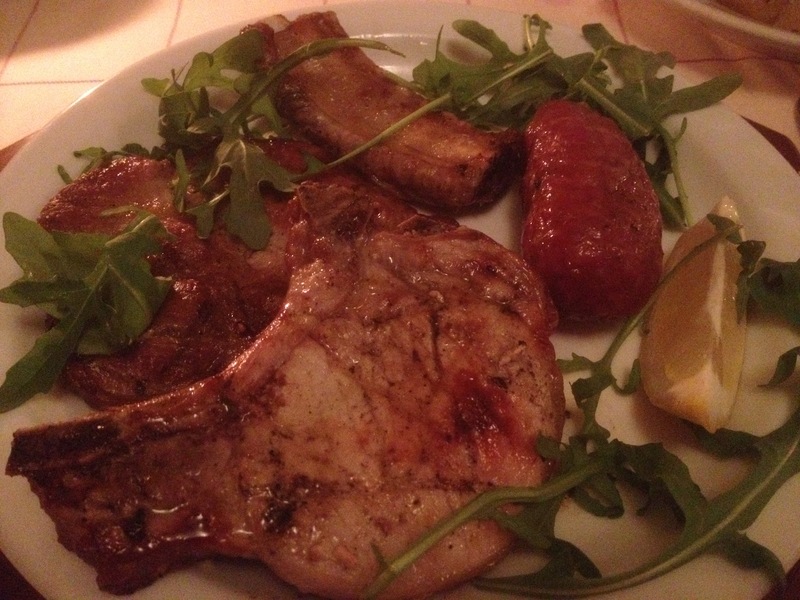 We did understand a couple of things though and I ended up with a mixed grill, something I would never normally order. And it was jolly nice. On this occasion we ordered a cheaper bottle of wine, one which we always used to have, San Sano Chianti but there was no more. I’m not sure if David had run out or whether there were none left anywhere in the world. We asked him to choose a similar local one which was very nice. I think it would be pretty hard to find a horrible tasting wine in Chianti. For dessert we again chose something we’d not had here before. 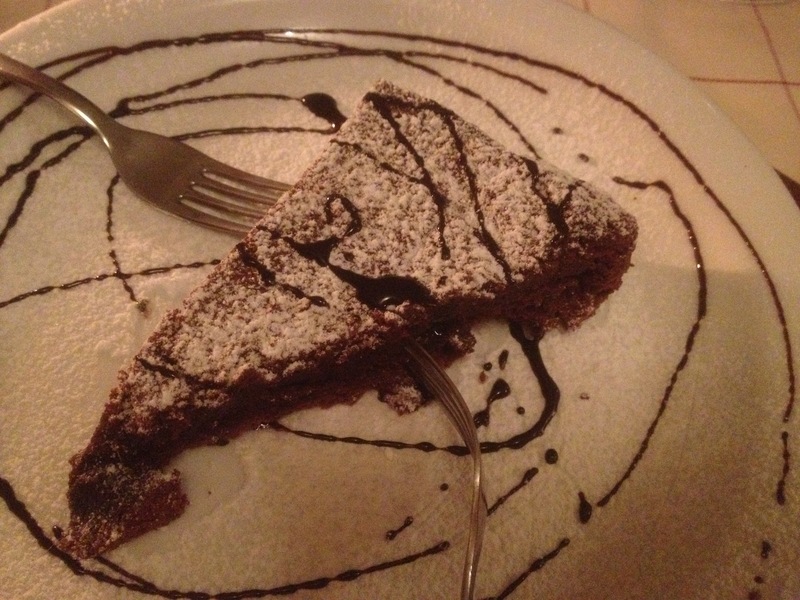 The torta al cioccolato was delicious and I wondered why I’d never ordered it in the past. Perhaps it was a new item on the menu. It was very much like a brownie dusted with icing sugar. In the height of summer everyone eats outside and it’s just lovely, so relaxing eating good food and drinking excellent local wine. The food is cooked on a wood burner and smoke bellows out of the chimney and smells amazing. 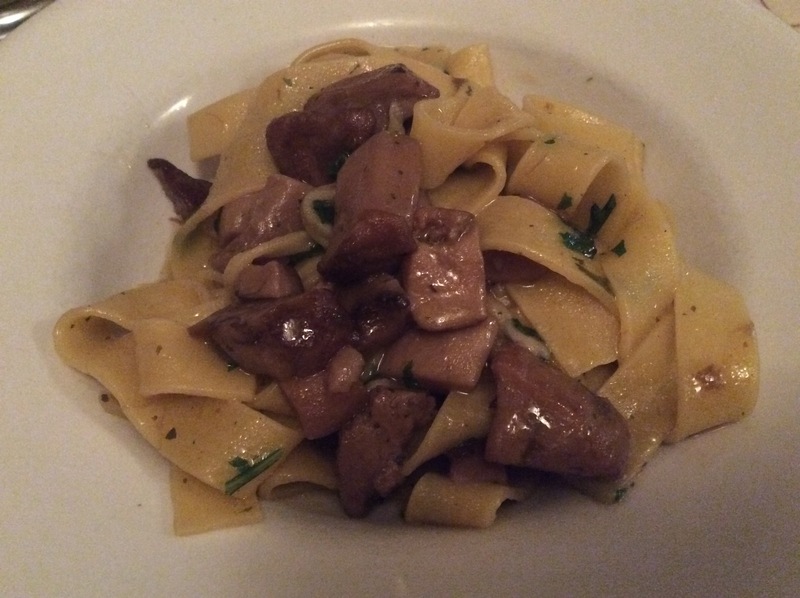 We would love to have been able to converse with David to tell him how much we liked his trattoria and that we’d been several times over the last ten years and how far we’ve sometimes driven just to eat there but alas, he will never know of our loyalty. My son cycled through San Sano back in 2011 on a cycling trip alone and I told him to go to the restaurant as I wanted him to experience it but he arrived on a day when they were closed and it was pouring with rain. He did manage to camp behind the place. I would have loved for him to have eaten there. He was so wet and miserable the next day he just went on his way. 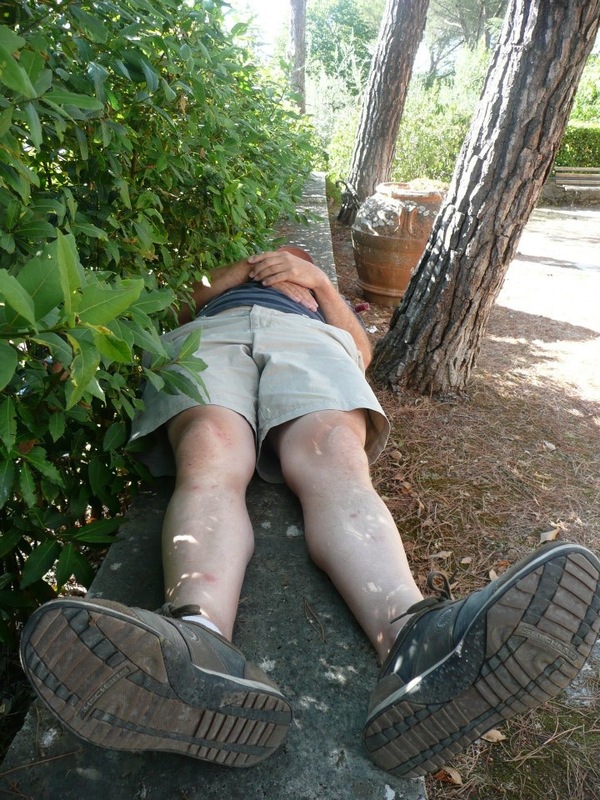 Geoff sleeping off David’s good food and wine in the park a few years ago.